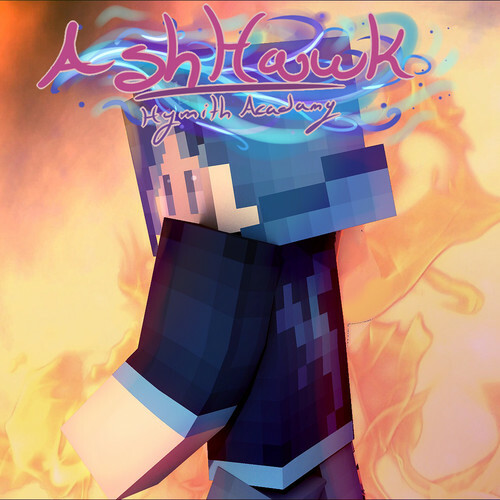 **Ashhawk has been a story that his been in my head for years. There a many different universes to this. Currently, I am writing a book called Ashhawk: The Fallen Northan. Some of the elements in that will not be in other versions. This one is called Ashhawk: Hymith Acadamy. This series will be based around a group of freshman that are learning about themselves and how to deal with the world around them and who they are. In this version, the inhabitants of this world take on more human look. This world is corrupted. It has lost order in most of the land. The Northans have broken apart and can not maintain this universe. After an accident, the world was filled with fallout. The land is polluted and so are some of its people. It can be hard to live, and most find it unlucky if you do. However, some people have found peace and can live happily. However, they act as if the world hasn't been destroyed. They live on without a care. They pretend that there isn't suffering. They pretend that there is no corruption. They pretend that te world isn't lost. 1. Must have a good or decent mic. **This series IS NOT very far in development at all. I still have most of the backstory, scripts, building, and over all the geography of the land to still think of. So, while I'm looking for voice actors, I will be working on those still. Matic is often bullied for not knowing his "Mynimor". He is called knows like "unkown". Even so, he stays strong. Some things can bring him down, and others don't faze him. He cares for his friends and is very supporting to them. Myotis would be the character you would call the "comic relief". He's immature, but very creative. He is big into the "steam punk" style. He is very good with building and machinery. As well, he is a traveler. He often affends others, weither on purpose or not. He is the cousin of Seadro and Jay. Note, I am planning on having my sister voice Jay, however, I'm doing this anyway to see if I like someone else's voice for this character. Jay is the sister of Seadro. She often brags about being a minute older. She can be a bit cynical, but she cares about her friends and family. She is very sarcastic and is her own version of "weird". Vantana is the oldest sister of Seadro and Jay. She won't be shown much on screen, but she is a very big part of this series. Mr. Kasei is one of the teachers that works at Hymith Acadamy. He seems very go-lucky and is usually one of the favorites out of all the teachers. "And the homework for today: Practice forming your elemental orb."